Scrabble Online is an exciting way to pass some time on a busy day, and I think I have found the best version of this favorite childhood game of mine. The best place I have found to play Scrabble Online is on the Pogo.com game site. If you remember the old wooden boards with the little wooden tiles, the sound effects here with this game will take you on a trip down memory lane. If you win the game, you get a jackpot spin, which usually results in Pogo tokens, but if you are lucky, you may win cash or prizes. 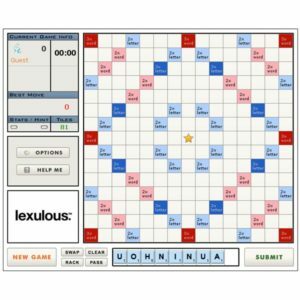 The Scrabble Online at Pogo.com features an interactive board that is fun, and it has sounds effects. You can disable the sounds effects which sound strange at times by clicking the little speaker icon. You cannot cheat at this version. If the word is misspelled, the play button is not lit up. This makes it a perfect choice for those who love the game, but dislike playing with others who wish to make up their own words. It is also the perfect game for anyone who wants to learn new words. If you choose to play with a computer-generated player, they seem to know all those words no one else has ever heard of. Within the game are several little squares which are color coded like a normal board. 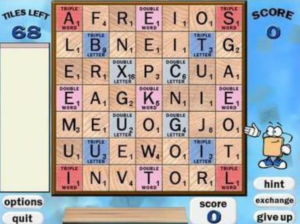 This Scrabble Online version has the double and triple score spaces, it is easy to read, and the blank titles change into the letter that you play it. It will appear differently than regular titles so it is easy to replace. The score is visible to both players so it is easy to tell who is winning. You also see how many tiles remain left in both the pot and the players’ hands. You can play against computers or other people on the site. If it has been awhile since you have played, you can practice with the computer players before moving on to play with other Pogo users. 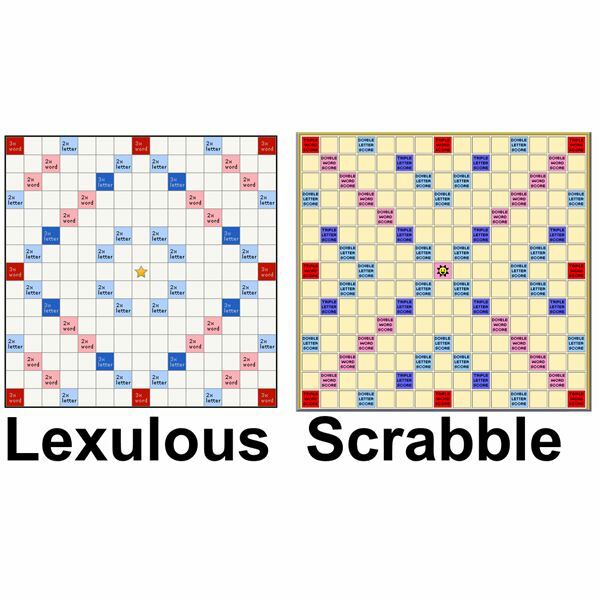 There is a two-person limit on this version of Scrabble Online. If you are playing with a friend who leaves the game, a computer player will sit down so the game can continue. All you need is a computer with internet access and a Pogo.com account. You’ll also need the latest browser version with java enabled. Personally, I use Firefox, and all the Pogo games work just fine. I loved Scrabble when I played it in my childhood with my mom, but I disliked playing it with my sisters who tended to come up with their own words. I really like this new version because if a word pops up that I have never heard of, I can easily look it up and learn a new word or two.